This small but nicely appointed restaurant was fully booked on a weeknight by locals, (always a good sign) we had reservations thankfully. We had a delightful experience. The carte is creative and presentation was excellent. The food was marvelous. Care is taken to bring out the best and seasoning is simply point on. Seating is comfortable and tables are spaced well. Service is highly professional, welcoming and discreet . Highly recommend, reservations strongly recommended. Lovely restaurant, impeccable service, intesting presentations, flavors incredible. Wonderful food, wonderful staff, and wonderful expperience! Cute ambiance! Delicious food - and the waitress was a gem. She was so thoughtful and sweet. Excellent restaurant. Service was friendly and first rate. Food and wine were superb. Cozy cuisine. Decorative. Some sense of Province. We came here for our anniversary and had the best experience! We were well looked after; the service and food was impeccable! It was the most lovely way to spend our anniversary and would definitely come back! 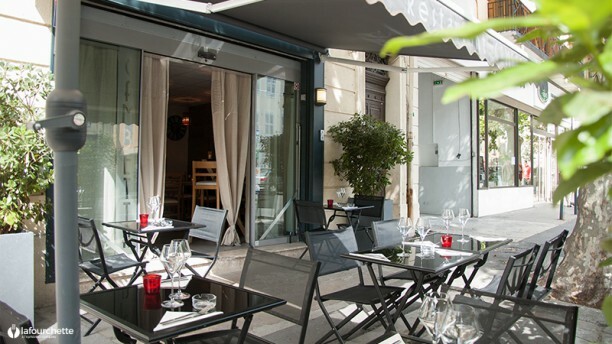 Best foodexperience in Aix. Excellent, friendly, professional. Will return as soon as possible. A superb eating experience. Dishes were very tasty, with distinctive flavours. Generous portions. dîner au top , service au top. Je recommande !!! A small very clean restaurant. Pleasant staff. Good wine. The menu was limited but very good. Presentation was excellent. We’d go there again. The service, food and ambience were amazing. The flavor combinations were unique and delicious. Service went above and beyond. Creative, beautiful presentation and above all absolutely delicious ! This place is not to be missed and as a bonus it was very reasonably priced!! Excellent food with exceptionally creative plating and combination of textures and flavors.